Of the four ports we visited this cruise, Bonaire is the only port that none of us had visited before. Rachel also picked out our excursion for this port - a Sail & Snorkel tour that we booked through Cruises Only. Cruises Only is the Marriot Rewards (now Marriot Bonvoy) booking portal. You get 6x rewards points when booking through them, and they offer excursions that are different from those offered through the cruise line. 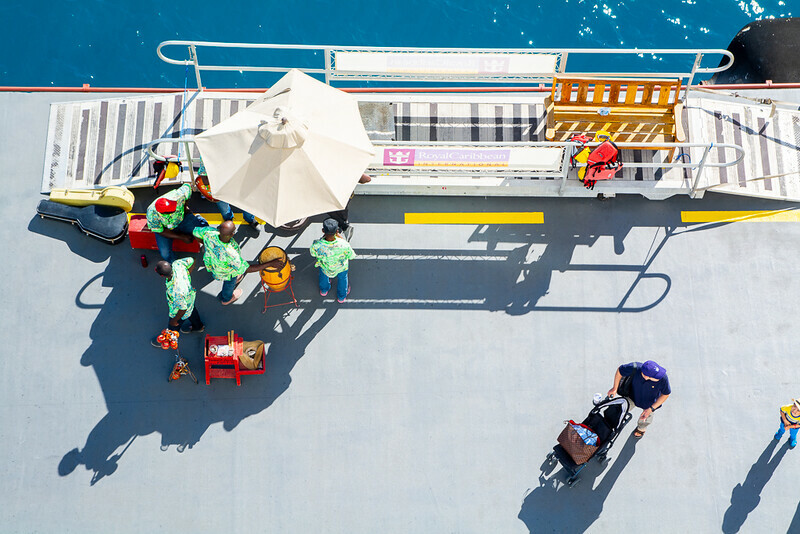 We've booked excursions through Cruises Only many times, and what I like about them are that they typically have much smaller groups than those offered through the cruise line. It's usually just our family of four and 1-2 other families. It makes for a much more personalized experienced. And they do guarantee that you'll make it back to the ship in time and reimburse you if for some reason the ship doesn't come into port (that happened to us last year in Jamaica). Next up: Curacao. This is the only port we didn't have an excursion planned for, so we weren't quite sure what to do. 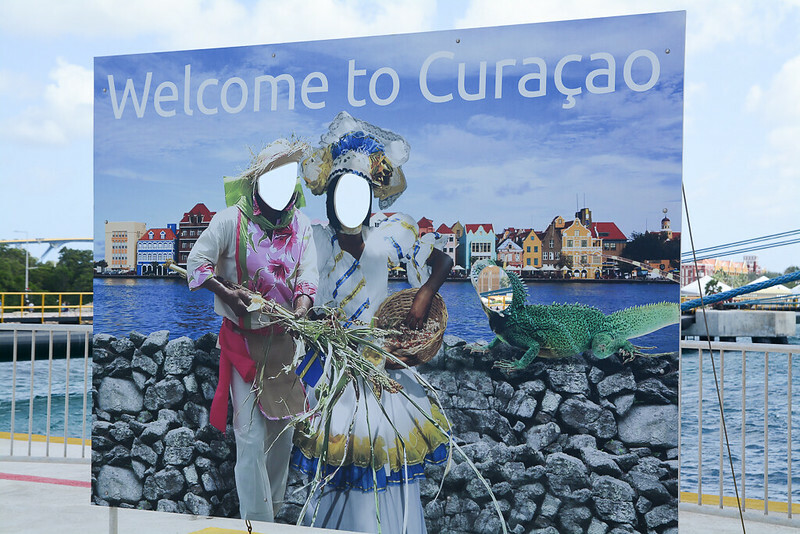 I had been to Curacao before on an 8-day Southern Caribbean cruise on the Carnival Breeze. 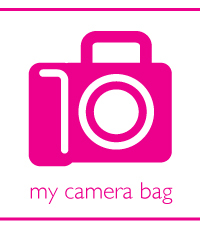 The great thing about the detailed blog that I've kept (I used to be so much better!) is that we can refer back to it and remember what we've done. 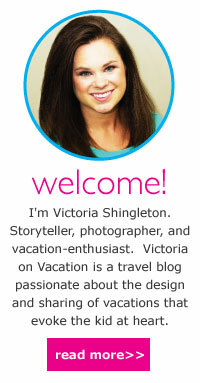 Rachel had the internet package, so she went to my blog post on Curacao and learned that I had been to Mambo Beach. So Mambo Beach it was! We were in port with the Carnival Conquest. We spent Christmas Eve on the Navigator of the Seas at sea. 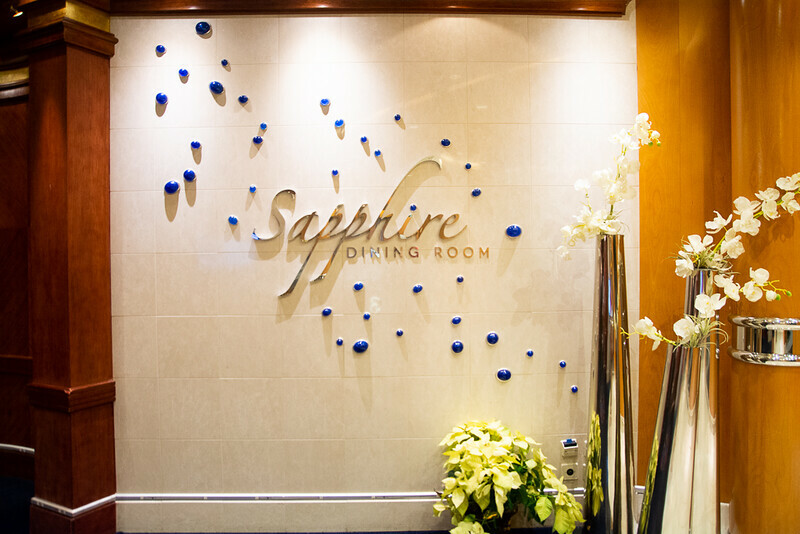 Rachel and I joined our parents for breakfast in the Sapphire Dining Room. It's a nice alternative to the craziness of the Windjammer. They section the dining room so that half is sit-down, order from the menu, and half is buffet, serve-yourself. Even if you sit on the sit-down side, you can still get up and walk over to the buffet area. Here is a navigational map of the ship located on each floor near the elevators/stairs. Now that the Navigator of the Seas has been to drydock, this has changed. Rachel likes to sleep with the balcony door open. I know this is generally frowned upon because it messes up the balance for the air conditioning, but we do it anyway (my sincere apologies to the mechanical engineers and environmentalists of the world). And because our stateroom was a lower deck than normal, the waves at night were LOUD. Around 7 AM we woke up to the ship pulling into port in Labadee. Soon after we were greeted by an incredibly untalented Caribbean band BLARING Caribbean tunes. Rachel got up to shut the door. But we could still hear them. Especially the piercing woodblock. It was like a metronome for every song they played. *PING-PING-PING-PING-PING-PING-PING-PING* Uggghhhhhhh someone make it stop!!!! It is too early for this. We tried to sleep in, but the woodblock haunted my dreams. 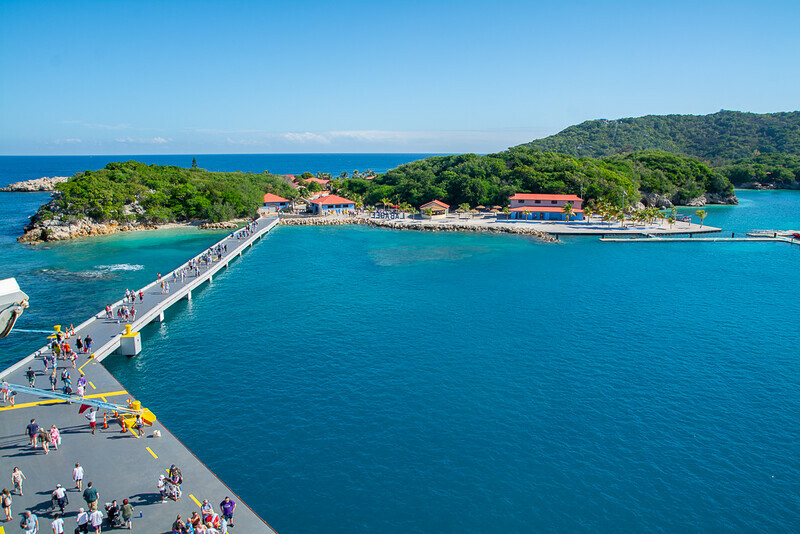 Labadee is one of Royal Caribbean's two private islands. We've been here a few times before. At the moment, Labadee is more developed than CoCo Cay. However, CoCo Cay is under construction and will receive a lot of new facilities like a water park, so it may soon be the nicer Royal Caribbean island. There they are, the terrible Caribbean band, located in the prime location also known as directly underneath our balcony. 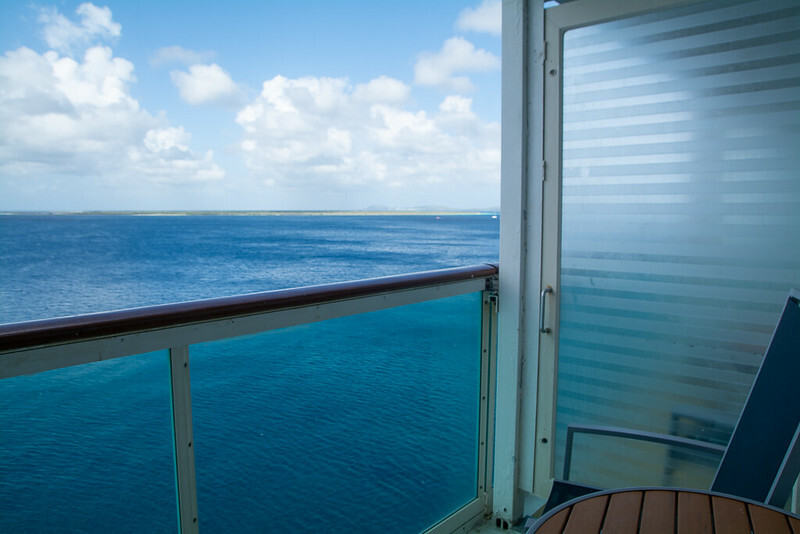 Our first true day on the ship was a sea day - perfect for sleeping in and not really doing anything! To our surprise, our father did not call and try to wake us up. We found out a few days later that the ringer on our phone was muted, so he actually might have tried to call, but we didn't hear it. We got up and I unpacked Rachel's suitcase. Rachel has learned that over the years all it takes is for her to ask, "Will you unpack my suitcase?" and I'll do it. Storing things away is something I enjoy doing. Like I said, there was space for everything - and even extra shelves up high that we didn't use. Ahoy! 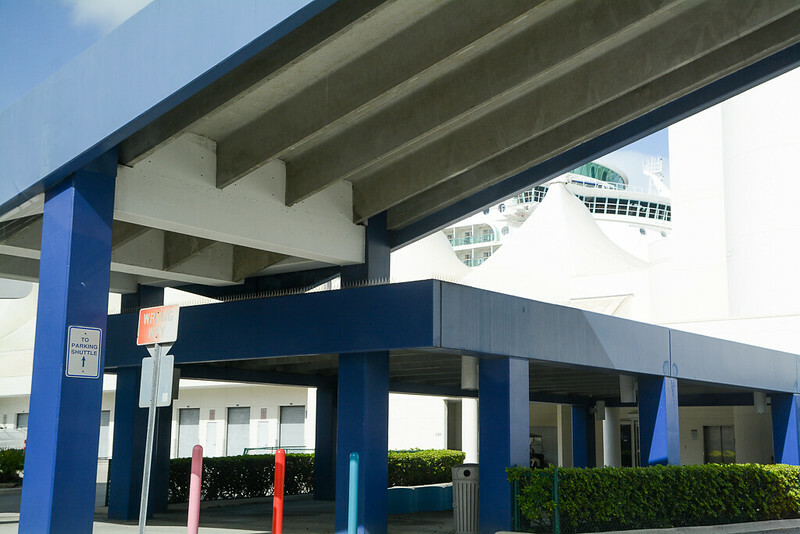 Welcome to my Navigator of the Seas Trip Report, and my family's 10th Annual Christmas Cruise! My family started cruising over Christmas back in 2009 with a 9-day Eastern Caribbean Cruise aboard the Grandeur of the Seas, and we've gone every year since. 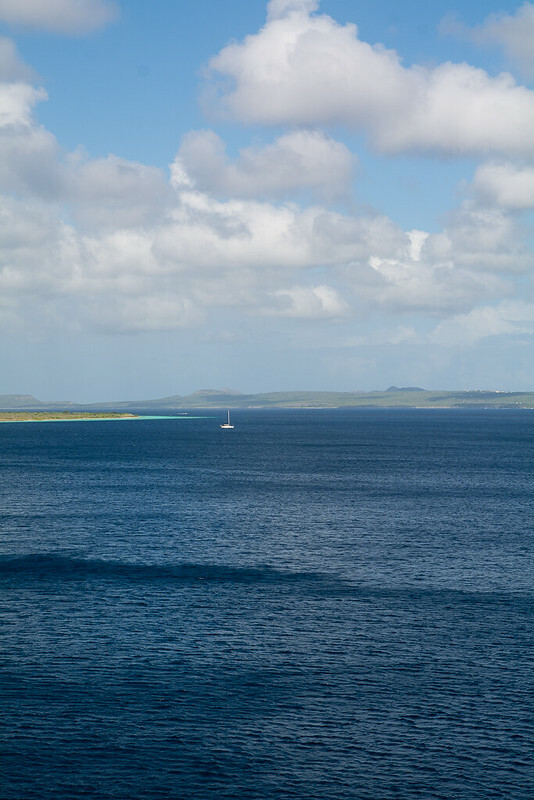 We like to sail where it's warm, so we often choose Caribbean itineraries, and we've also done 10 and 17-day Panama Canal cruises (my personal favorite itinerary if you have the time). We aren't loyalists to any particular cruise line, and choose our cruise based on the itinerary, length, and ship. 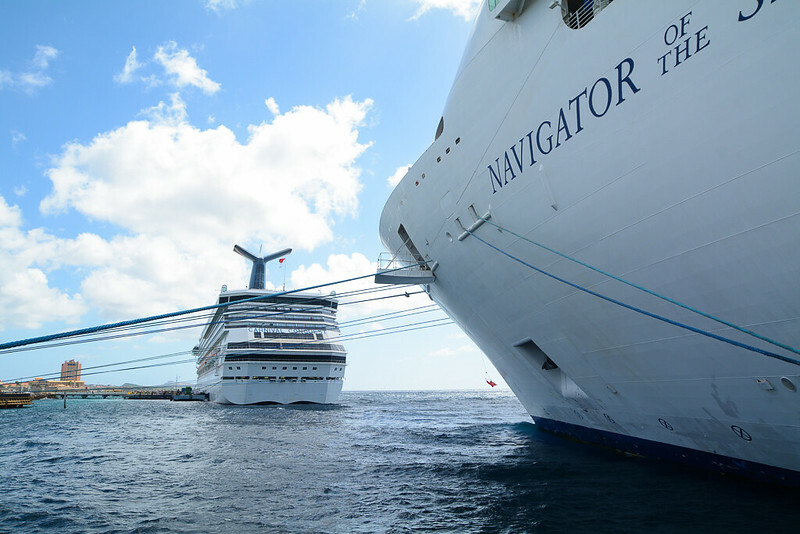 Rachel has taken over as the family's cruise planner, so she narrowed down our options. We ultimately chose the 10-day "ABC" Caribbean Cruise on the Navigator of the Seas because it included ports that we haven't traveled to before. 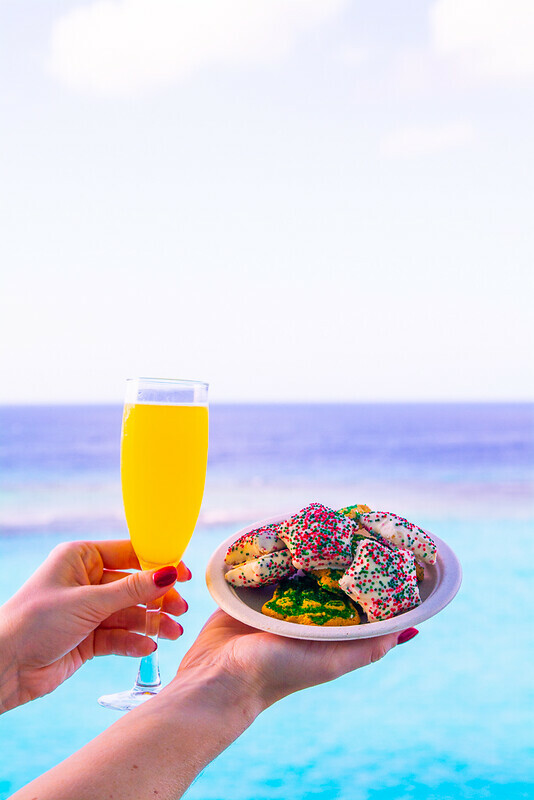 While we've been to Aruba a few times, none of us had been to Bonaire, and only I had sailed to Curacao. Also, Rachel was on the Royal Caribbean website and excited about the Navigator's new upgrades including new pools and water slides... only to learn that they hadn't actually happened yet. The upgraded Navigator of the Seas will start sailing in Spring 2019. 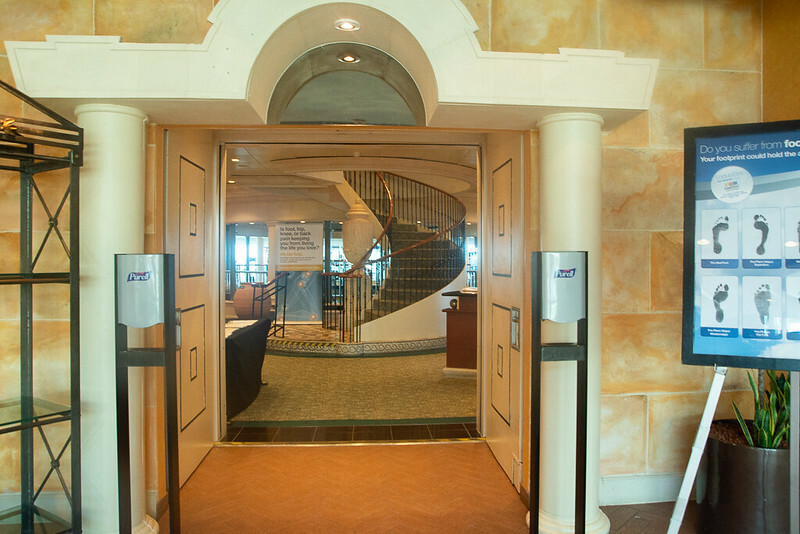 The Navigator of the Seas we were sailing on had been most recently updated in 2014 to add the Flow Rider to the aft. The Navigator departed from Miami. I live in Los Angeles, so I had to fly cross-country. My parents live in South Carolina, and my sister in Atlanta, so they had the option of driving. For better airline pricing, my dad decided to have my sister and I fly into Orlando the night before, while he and my mom would drive to Orlando. We'd all spend the night near the airport there, then drive the rest of the way to Miami the morning of departure. Alas, the Port of Miami, and a glimpse of the ship! We often drive to the port, and it always results in the same kind of scramble. My parents like to tetris-style pack the Suburban with luggage and snacks and a cooler. And my mother always packs in an assortment of bags - some which stay in the car (they were headed to Walt Disney World after the cruise), so when we pull up and they start unloading our luggage, it results in my mom saying, "Woah, woah, woah!" and then crawling into the third-row seat and pointing and what should stay and what should go. And then there's the tidying of the car to situate everything before it's parked. And my dad trying to decide whether or not he should carry his own passport or leave it with us. All while Rachel and I wait on the curb awkwardly dodging men tossing around suitcases. At least we're organized and not bringing things on the ship that we don't need. Nearly 20 years of cruising, now, and some things just don't change. Then we wait on Dad to park the car, and hopefully remember where (one time we returned from a cruise to check every single level of a parking garage, only to learn that had returned to a different terminal and were parked in a different garage).